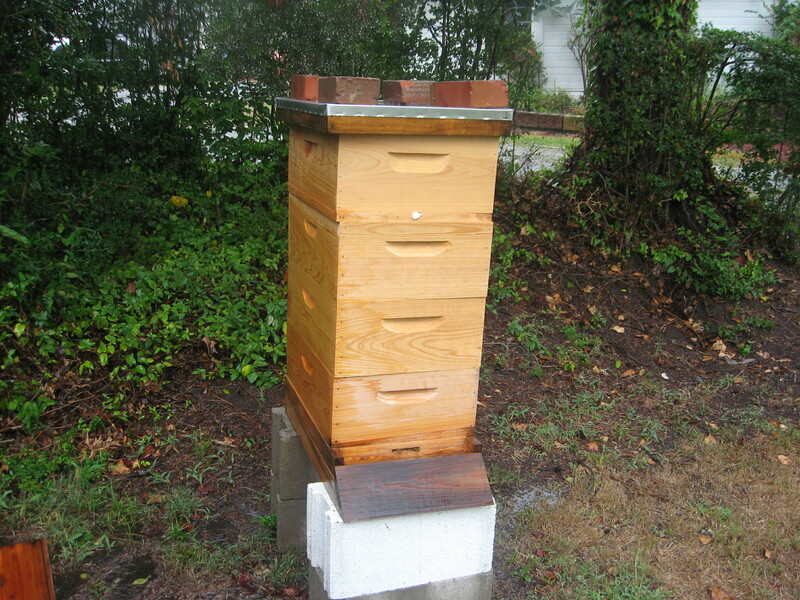 The hive was due for a routine inspection this weekend, but weather–cloudy, with rain–means it will have to wait until the next sunny day. Check of the feeder shows that the girls are really slurping down the syrup. No traffic today. I’ll have to refill feeder in the morning–rain or shine. Good thing about the feeder is that I don’t have to open the inner cover; just pull the quart mason jars and replace. My curiosity is making me antsy–I want to know what’s going on in the upper super that was put on the hive at last inspection. But that will wait–forecast sounds as if it’s going to rain all weekend so I have to wait until Monday or Tuesday to satisfy my curiosity. Obviously, not a day to open up the hive–we need the rain so that’s good–but even the morning glories are showing the effects of the rain.